Craftsmanship, quality and exclusivity! 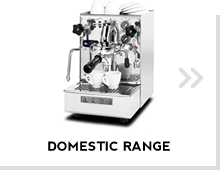 These are the features that make the RUGGERO a truly spectacular espresso machine. Traditional E61 lever group head which weighs 4.2Kg is made completely of brass and has been chrome plated. Dual boiler system of which each is 1500ml in capacity and has a large 2000watt element in each boiler, the largest boiler capacity to element wattage in its class. The OFFICE SEMI AUTOMATIC espresso coffee machine with heat exchanger, 2,75 litres water tank, copper boiler with 1.5 litres capacity and a large 2000watt element for unlimited steam production. One steam tap (stainless steel) and one hot water tap. 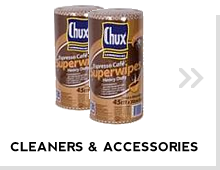 Commercial EB61 group head with full chemical backflush ability at this price is outstanding value & quality. 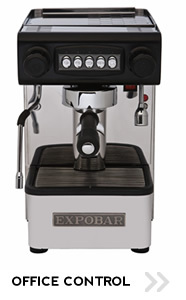 The EXPOBAR OFFICE CONTROL ESPRESSO COFFEE MACHINE is sensational for those who love to entertain! 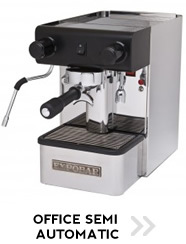 This fully automatic, home espresso machine has four programmable doses to dispense the desired amount of espresso with the touch of a button. The commercial group, with direct pre-infusion, allows for a consistent espresso extraction and the heat exchanger, with thermosyphon, means you can brew and steam at the same time, without waiting for the boiler to 'recover'. Equipped with a commercial 'cool touch' steam wand and a hot water outlet, each mounted on ball joints that swing in any direction make the OFFICE CONTROL a pleasure to use. 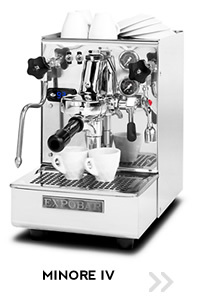 From EXPOBAR comes the popular EXPOBAR OFFICE LEVA espresso coffee machine. The classic stainless steel body attracts attention, but its looks are only the beginning of its true cafe style espresso experience! Designed for the budding barista, the OFFICE LEVA employs sturdy commercial components from a world famous espresso machine line. 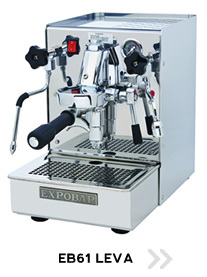 Packed with commercial grade features the OFFICE LEVA is a true heat exchanger espresso machine. With the 1.5 litre copper boiler, powered by a 2000 watt element and the thermosyphon heat exchanger, this machine has no problem extracting the perfect espresso and texturing 'silky' milk simultaneously. 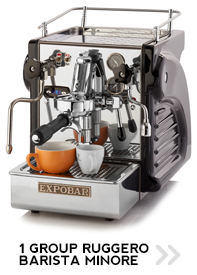 The EXPOBAR OFFICE BARISTA MINORE IV sets the standard for what is possible from a home espresso machine. 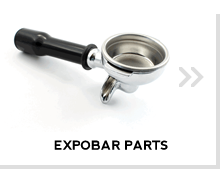 It is truly a lifetime investment for the espresso enthusiast! 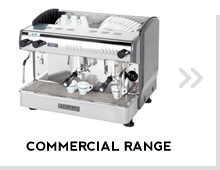 Its traditional style, compact size and commercial strength make this a leading competitor in the home espresso machine market. The eye catching, highly polished steel housing is as durable as it is beautiful.The EB-61 commercial group provides mechanical pre-infusion and is directly connected to a 1.5 litre copper boiler that is controlled by P.I.D. to maintains temperature stability.